Our company has passed a decade working in tourism industry and we have various independent outlets for travel/tour packages like you’re, climbing, expeditions, trekking, jungle safari, and short holidays etc who are experienced in their sector. 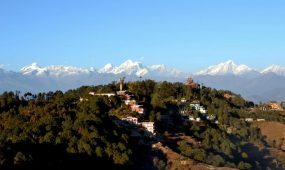 Our company is allied with a network of sister companies in all travel destination of Nepal which lets tourists have the same hospitality and service. Our company offers professional and strict services to assist tourists during their trip and always ensure they have a hassle free travel. Nepal has 14 national-park/wildlife reserve and all of them are now both UNESCO, Ramsar and local Government protected region. 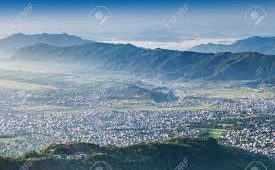 The national parks from southern region also called Terai are suitable for wildlife safari while rest national parks are resided on high hills so geographical structure makes difficult for wildlife safari. There are two national parks in Terai that offers all facilities of wildlife jungle safari due to favorable climate all-round the year. They are Chitwan National Park and Bardia National Park which are full of wild animals like elephant, deer, lion, royal Bengal tiger, leopard, crocodile, dolphins, 800 species of birds and other regular animals. 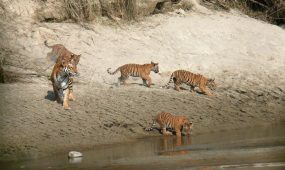 Enjoy 3 days of jungle excitement in Nepal during this tour of Chitwan National Park from Nepal Guide info Team organized from Kathmandu or Pokhara . 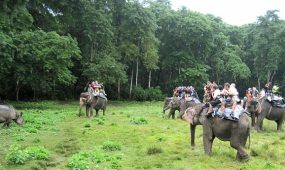 Ride atop an elephant to view spectacular wildlife and scenery. See Royal Bengal tigers and one-horned rhinos. Visit a traditional Tharu village. Get up close with elephants, spot Royal Bengal tigers, and see one-horned rhinos during this 3-day tour of Chitwan National Park from Kathmandu. Situated in the subtropical lowlands of the Terai, Chitwan National Park offers elephant safaris, nature walks, and tours by both jeep and boat. The park is home to many species of animals such as the sloth bear, leopards, crocodiles, monkeys, many different species of butterflies, and over 450 sorts of colorful and endangered birds. In summer, the forest is alive with nesting migrant birds, such as the paradise flycatcher, the Indian pitta, and parakeets. 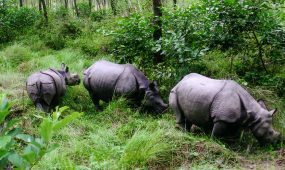 As you explore Chitwan National Park there’s a very good chance of spotting the one-horned rhino and, with a little luck, you may see a leopard or Royal Bengal tiger. You’re sure to come across deer and bird life, and look out for the crocodiles that glide through the Rapti River or sun themselves on the banks. The river is also home to the very rare fresh-water Gangetic dolphin and occasionally they can be seen breaching the water. Chitwan National Park has 6 premier jungle resorts scattered within its boundaries. These secluded resorts are the perfect place to experience the true safari atmosphere of the Terai. All jungle activities are just a step away, and there’s always a chance to spot wildlife. 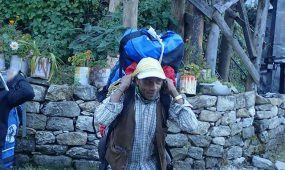 Transfer from Kathmandu by Nepal Guide info Team along the scenic Prithivi Highway. In Chitwan, you’ll be met by a tour representative who will take you to your hotel for a welcome drink and time to freshen up. You’ll get a safari briefing by your nature guide while having lunch. Enjoy a short rest, before visiting a village of the ethnic Tharu people. Take a short hike or ox ride through the village and visit the museum. Watch the sunset from the riverbank, before dinner and a program of Nepalese culture at the hotel. After breakfast, enjoy adventure excursions which can include a canoe ride, a jungle walk looking for tigers, leopards, and other wildlife, or a visit to an elephant breeding farm. Enjoy morning birdwatching in the national park. Chitwan attracts the largest number of birds in Nepal, including several endangered species. Depending on the time of year, common sightings will include Brahminy ducks, kingfisher, egret, and the paradise flycatcher. 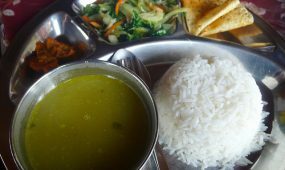 Return to your hotel for breakfast, then transfer to Kathmandu.